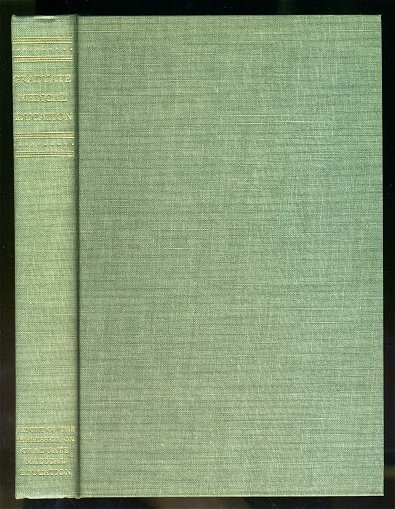 New York: Falstaff Press,	(1934). "Privately Issued for Mature Subscribers." Tall 8vo., orig. decorated paper boards, no pagination. Spine a bit darkened o/w a near fine copy. 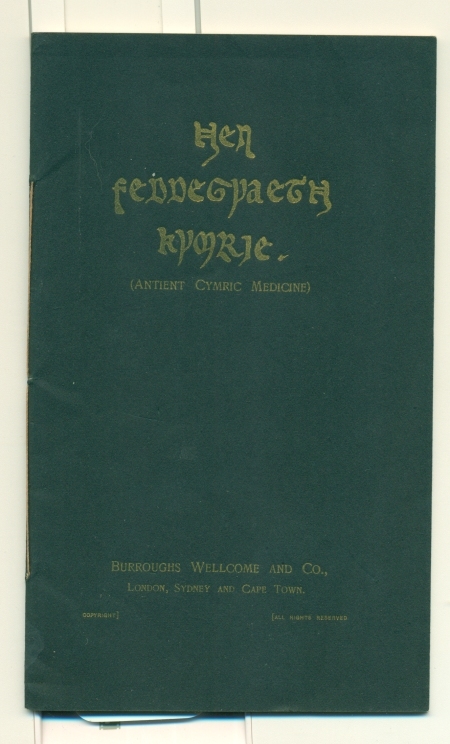 Antient Cymric Medicine. A Reprint of the Historical Souvenir Issued by B.W. & CO., On The Occasion of the Meeting of the British Medical Association At Swansea, 1903. London: Burroughs Wellcome and Co., nd. Sm. 8vo., orig. wrappers, 52pp. Cambridge: Harvard University Press,	1937. First edition. "Harvard Tercentenary Publications." Cloth, 371pp. Bookplate o/w fine in a nice d/w. 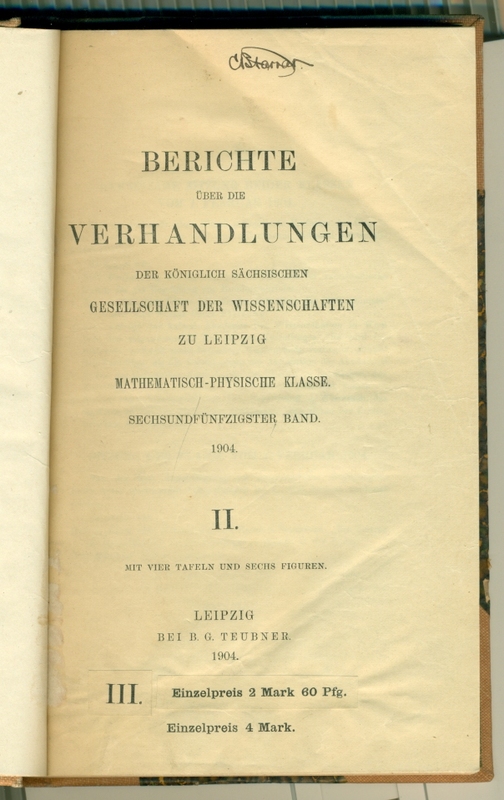 Berichte Uber Die Verhandlungen Der Koniglich Sachsischen Gesellschaft Der Wissenschaften Zu Leipzig Mathematisch-Physische Klasse. Sechsundfunfzigster Band. 1904. II. Leipzig: Bei B.G. Teubner, 1904. From the library of Dr. C.B. Farrar with his signature on the titlepage and his bookplate. Tall 8vo., cont. half cloth, marble boards, leather label, pp. 50-248. Underlining by Dr. Farrar o/w a near fine copy. Bulletin Of The New York Academy Of Medicine. Second Series, Vol.II, No. 7 July, 1926. New York: The New York Academy of Medicine. Wrappers, pp.339-388. Notation on upper wrapper o/w near fine. New York: Macmillan,	(1968). First edition. From the library of Dr. C.B. Farrar with his bookplate. Cloth, 192pp. Fine in d/w. Celbrazione Della Accademia Del Cimento Nel Tricentenario Della Fondazione Domus Galilaeana, 19 Guigno 1957. Pisa: Preso La Domus Galilaeana,	1958. With the bookplate of Stillman Drake. Centennial Papers Saint Elizabeths Hospital 1855-1955. Washington: Centennial Commission Saint Elizabeths Hospital,	(1956). 8vo., orig. red cloth, 251pp. Bookplate o/w fine. Commonwealth of Massachusetts. Department of Education......Regulations For Determining The Number of Children Three Years Retarded In Mental Development. (Chapter 277, General Acts of 1919). NP: Department of Education,	1919. Milano: G. Daelli e C. Editori, 1866. 12mo., cont. 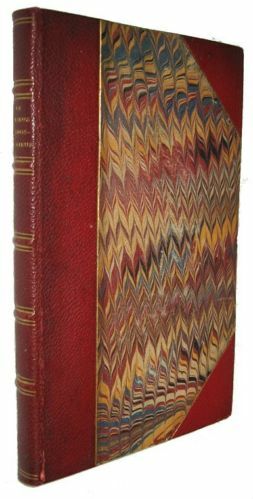 red half morocco, marble boards, raised bands, A.E.G., 79pp. Edinburgh's Place In Scientific Progress. Prepared for the Edinburgh Meeting of the British Association By The Local Editorial Committee. Edinburgh: W. & R. Chambers,	1921. First edition. With the bookplate of Stillman Drake. Sm. 8vo., cloth, xvi, 263pp. Scatter foxing o/w fine. Emanuele Filiberto. 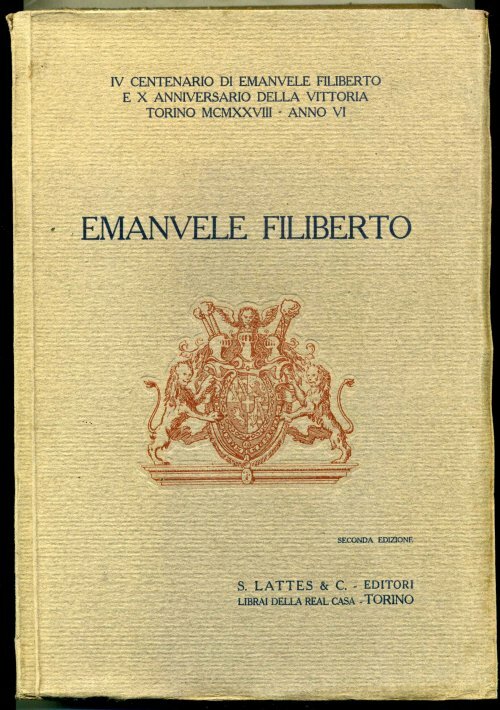 (IV Centenario Di Emanuele Filiberto E X Anniversario Della Vittoria Torino MCMXXVIII---Anno VI. Torino: S. Lattes & C., (1928). Second edition. With the bookplate of Stillman Drake. Tall 4to., orig. stiff printed wrappers, xxxii, 477pp. Eugen Bleuler 1857-1939. Von Kurt Kolle, Munchen. 8vo., orig. wrappers, 6pp. Fine. Cloth, 168 pp. Bookplate o/w fine in a nice d/w. First Annual Report Of The Board of Visitors of The Pilgrim State Hospital At Brentwood, N.Y. To The Department Of Mental Hygiene For the Fiscal Year Ending June 30, 1932. Utica: State Hospitals Press,	1933. Wrappers, 64pp. Name on upper wrapper o/w near fine. Graduate Medical Education. Report of the Commission on Graduate Medical Education, 1940. Chicago: University of Chicago Press, 1940. Growth Endocrine Aspects (Therapeutic Notes July-August 1937). 8vo., orig. self wrappers, pp.(201)-235. Near fine. Historical Notes. I Remember Nissl. Reprinted from The American Journal of Psychiatry. Vol. 110, No. 8, February 1954. History and Manufacture of Floor Coverings. New York: Review Publishing/Carpet Trade Review,	1899. 8vo., orig. cloth, 98pp. Near fine. How Large Should A State Hospital Be? Report of a Conference called by New York State Committee on Mental Hygience of the State Charities Aid Association at the Harvard Club, New York City, June 28th, 1929. Signature of Dr. C.B. Farrar on the upper wrapper. 8vo., orig. wrappers, 78pp. Near fine.